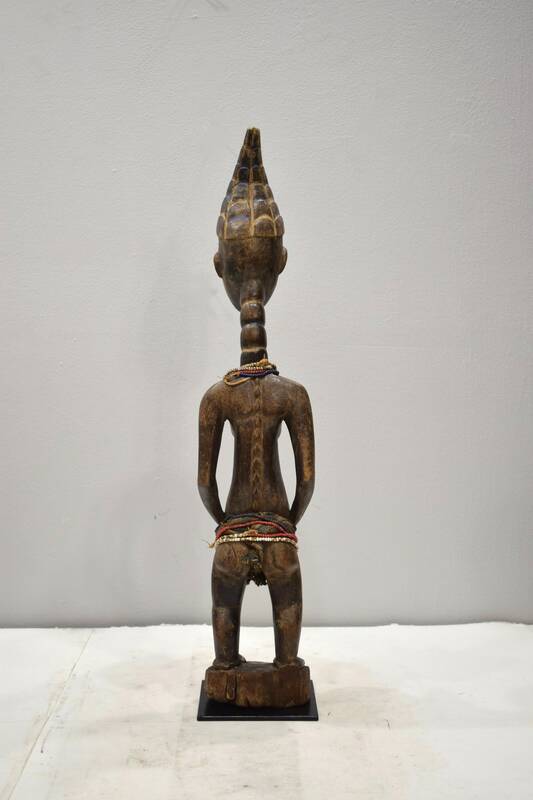 This is a very unique African Carved Wood Female Standing Figure Adorned with Beads from the Kulango People of the Lagoon Region, Mali. 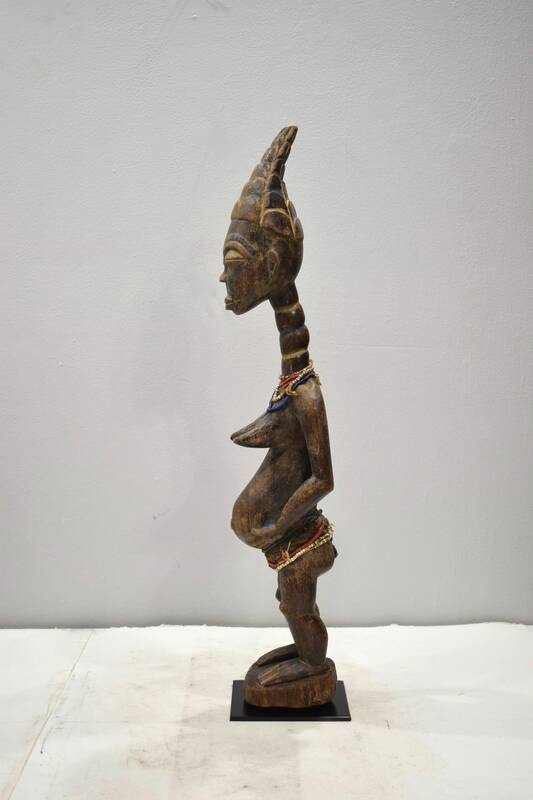 This female figure has a long curved neck with a ripple pattern and geometric marking on her elongated body. 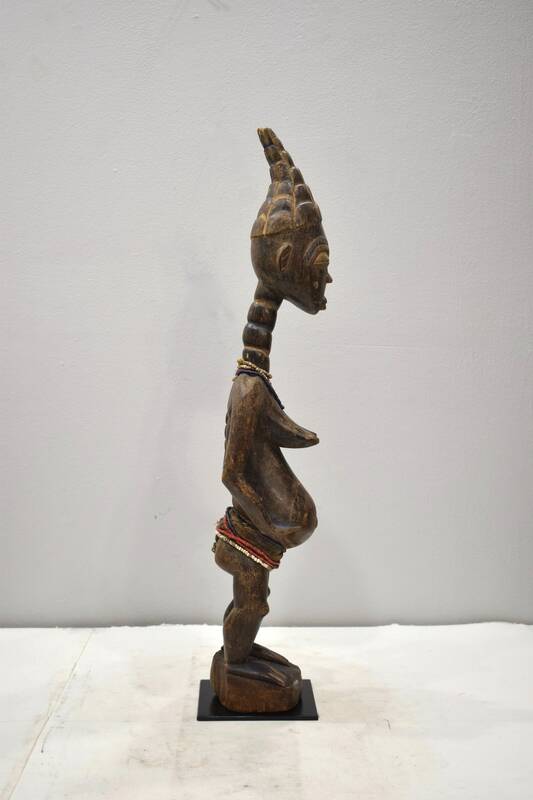 Her head is very typical of Kulango carvers style with elaborate markings and a elongated head. This tribe is neighbors of the Baule and Senufo. 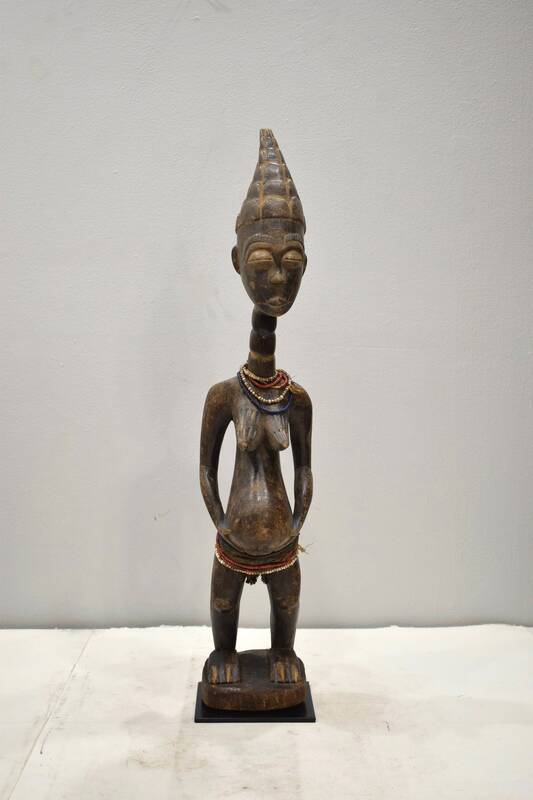 A wonderful statue to add to your collection or home. Shows age and discoloration, but in good condition.